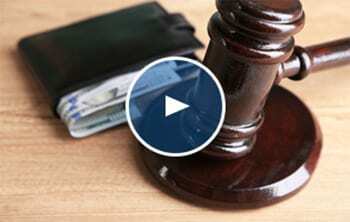 What is a wage garnishment? A wage garnishment is any legal procedure through which some portion of a person’s wages is required to be withheld by their employer for the payment of a debt. Most garnishments are made by court order. Your employer can take up to 25% of your paycheck and send it to the creditor you owe. This is a painful way to repay a debt and causes people to get behind on their other bills like rent, mortgage, car payment, etc. Once a garnishment starts, a person’s financial situation can quickly spiral out of control. Filing for bankruptcy is an option a debtor has to stop wage garnishment. Filing for bankruptcy will put an immediate stop to wage garnishment and will completely prevent the creditor from garnishing your wages. If you are in debt and being threatened with wage garnishment, contact an experienced Georgia bankruptcy attorney. An experienced bankruptcy attorney can help you understand all of your options to prevent or stop wage garnishment and other collection efforts while helping you understand your options for taking control of your debt. Can My Wage Garnishment Be Stopped By Filing Bankruptcy in Georgia?